And I Lost My Career To My Genuine Degree! 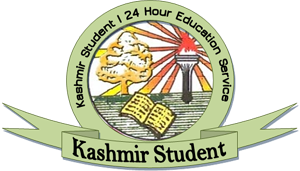 I have been a student of prestigious institution of Kashmir. Like thousands of fortunate parents, my parents also felt joyous and proud of my selection in post graduation in prestigious university of Kashmir which consequently landed me among the company of "Educated Unemployed Youth"
After 2 and a half years of unimaginated hard work I earned a degree in science with 70 percent marks but alas! I committed a blunder. I went to every nook and corner of the Kashmir in search of a contractual job but i could not mould the mindset and opinion of people that i am a pass out of Kashmir university although with a less percentage.. They demanded merit and i was rejected. Reason being that my manufacturing factory (Kashmir University) had bidden me farewell with low percentage citing the reasons of dignity and line of control of its Evaluation pattern. It hardly cares for the future of its pass outs. It just knows the job of manufacturing Educated, Unemployed, handicapped youth who later on roll down like stones from merit lists. Attaining a degree of post graduation was a dream unseen and goal uncherished few years back, as it meant to get birth in the scholar class people. But now my next door "Moong Fali" vendor is post graduate from some"Baba"or "Maharaja"university. He has finished his M.Ed from Almond university whose offline shop is run by a"Safai Karmachari"in Srinagar. In just 2 years he has finished 3 degrees and myself just 1, although he is yet to see the glimpse of famous Jawahar Tunnel as he has never been to outside Kashmir. His beleif is rock solid of his selection being in teacher list. I have seen him earning right from his matric. How he managed to get his Jaspal Bhatti's Graduation and Post Graduation in just a year is still out of my mind but yes one thing is clear that he taught me to “Earn while you Learn" that too being regular at both the places-At work and At University. He calls it a part time regular degree. I earned my degree by blood and soul, burnt midnight oils to get good grades and still I land in No Man's Land, they earned it by Gandhian Notes, almonds and precious gifts and they land in merit lists. I bowed to my teachers every time to get rewards for my behavior besides my Intelligence, they ordered their counselors to fetch them percentages as per their choice. I used blood of my veins as Ink to write my Assignments and they offered dry fruits as projects to their off campus Vice Chancellors. I curse myself of being a pass out of Kashmir university. No one prefers me for any Job. The degree of Entropy and Restlessness has crossed the limits in me. I have been marred by various schemes, welfare packages and job policies as if I am a migrant beggar whose presence pinches the host and they have started welfare programmes for my settlement. This is the rubbing of salt on my injuries. Now when i was shortlisted for Teacher Interview a year back i had a sigh of relief. But fortune turned down again as unjust candidates dragged the just policy of Services Selection Board to court. A year has passed, hearing is deferred again and again as if Monthly Ration is being Fetched to villagers at Ration Deport. Promises come every now and then, of next hearing being the final hearing but i am sure that the poor man would die Trouser less again. No one rises to the level to oppose these almond degree holders although everyone knows their bogus nature. Resentment is growing among the Aspirants that some politicians and Bearucrats support these bogus degree holders who manage to defer the hearing every time. Our own Justified degrees are at stake now. Our degrees have lost the credibility among our family members as if we have committee a sin by studying from Kashmir University. So called Scholars, Academicians, writers Civil society members and Rights Activists beating the drum of Nostalgia have broken the Nib of their fountain pens as the ink of justice has stopped flowing from them, as if they run the very affairs of this bogus university in Kashmir besides knowing that Justice is denied to Just ones. Among this whole drama the silence of Kashmir University Authorities appears shocking to me. They have turned mute spectators as if they are holding honorary degrees from this Almond university. Case is not different to state government which allows them to operate their distance shops in distant places. 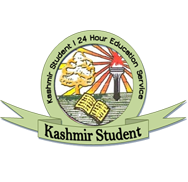 I am now waiting for a verdict from the court of Honorable Justice; not because I hope to be selected but because my next degree of M.phil/PhD would be from Kulgam campus of Poonaiyah Ramajayam Institute of Science and Technology (PRIST); located in the busy market of Kulgam town over a Barbar's shop. As this situation demands “Do in Rome As the Romans Did"
wt abt ur prestigeous university which gives 90% in b.ed. In the 3rd paragraph, u have mentioned 'Baba' what does it mean plz... explain. !! nicely written, i would say. Though could be questioned, yet depicts the fact. this situation is of worry. "You Use Your Tummy To Think"
hahahahaha. . . .sympathy wid u. . . . . .